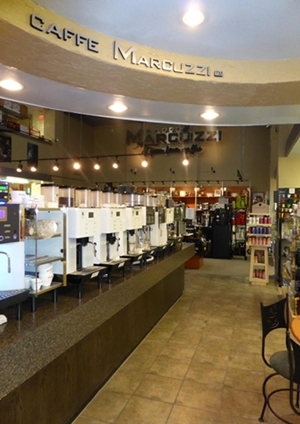 Espresso RMI LLC is famous for its own line of Marcuzzi espresso and coffees. Marcuzzi espresso roast is a selection of only the finest quality coffee beans from around the world. These beans are carefully blended and roasted to ensure a perfect and consistent espresso and crema in your cup every time. Todays modern automatic espresso machines are able to surpass the quality standards that were previously set by traditional Italian Baristas. Espresso RMI LLC. offers over 150 different models of automatic and traditional espresso machines to select from. 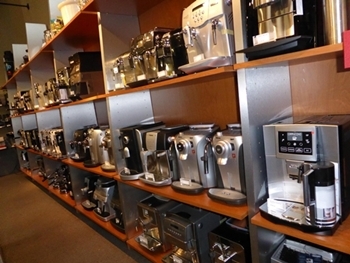 All espresso machines are displayed in our 10,000 square foot show room. Espresso RMI, LLC. offers all major brands of commercial and residential espresso machines such as Jura Capresso, DeLonghi, Saeco, La Pavoni, Breville, Miele, La San Marco, Nuova Simonelli, Franke, Astoria, Rancilio, La Cimbali, Schaerer, Rex Royal and more. Espresso RMI LLC is also proud to offer WMF the Rolls Royce of the espresso machine industry. WMF is manufactured in Germany and is recognized as the worlds finest manufacturer of automatic espresso machines. WMF is the espresso machine of choice of quality establishments such as the Four Seasons Hotel, Cowboys and Yankees Stadium and HEB stores. Espresso RMI LLC. is a trusted name in the coffee and tea service industry in North Texas. Our service technicians are factory certified to repair and maintain coffee, tea and espresso equipment from all leading manufactures. We even provide technical support for their customers as well as on site service.